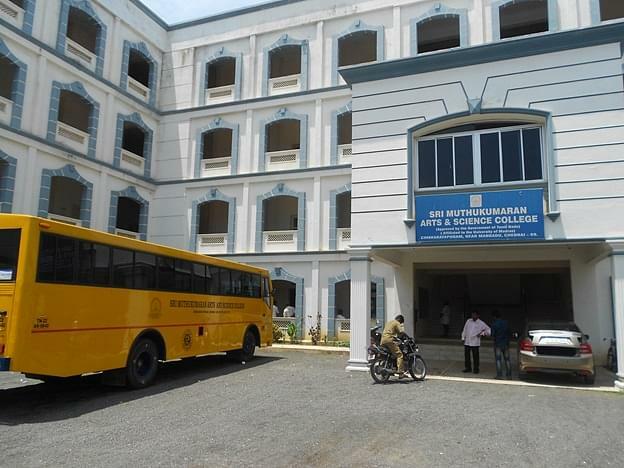 The Sri Muthukumaran Arts and Science College is located in a rural and quiet place. It has the perfect environment which enhances the learning ability of the students. It has excellent infrastructure and state of the art modern facilities. The institute is also known for imparting quality education to its students. Emphasis is laid on inculcating moral, ethical and intellectual values in the students. The faculty is diligent and dynamic. Airport: The college is 16.6 km from the Chennai International airport. It is reachable by hired taxi or cab. Railway Station: The college is 11.1 km from the Pallavaram Railway station. It is accessible by cab or auto. Bus stand: The college is 15.1 km from the Bus Chrompet bus stand. It is reachable by hired taxi or cab. Facilities- The laboratories are equipped with latest technological machines, apparatus and equipments in accordance with the international standards. The classrooms are spacious and equipped with audio visual aids. The institute has good hostel facility as well. The library is well stocked. Placement Cell- The Placement Cell ensures that the students are trained for skill development, campus interviews, group discussion etc. There is also feasibility of LAN for conducting online computer based test in the campus recruitments. Alumni association- The alumni association has been fabricated to aid the students which are passed out of the college to maintain a regular touch with the institute. There are also organised alumni meet every year.